Flashing is a roofing related term to describe a piece of material that will stop moisture from entering a meeting of a roof with another surface.One of the most common places to find flashing is around your chimney. Chimney Flashing is a strip (Usually metal) that encompasses the lower portion of the chimney where it ties into the roof. Common materials are copper, aluminum and galvanized steel, but I’ve seen other, impractical and just plain wrong materials used like asphalt roofing and rolled rubber roofing just adhered to the chimney surface. 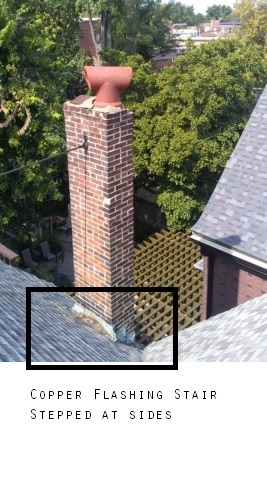 Why is Chimney Flashing needed? Flashing around your chimney is needed to stop water from making its way into your home through the hole the chimney exits. Without flashing you will notice water damage and moisture in and around the interior walls where the chimney breast or chimney stack exists. Flashing is installed at the chimney by cutting a joint into the circumference of the chimney where it ties into the roof. The joint is cleaned, Flashing is cut to fit from metal material and installed into the clean open joint. the flashing is properly tied into the roof and the joint is caulked with a polyurethane caulk. 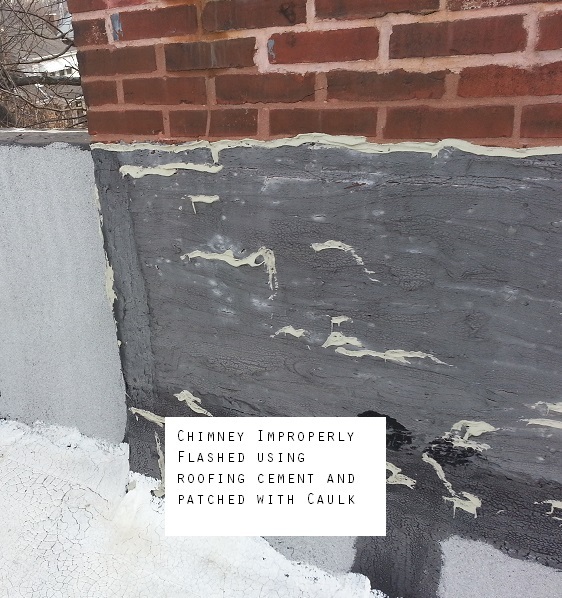 How much does Chimney Flashing Cost? A typical flashing repair or installation job cost will vary, but the average one story home is going to cost $100-200 for repair and $300-500 for replacement. Costs tend to go up with chimney size and the height associated with getting to it. Other factors including flashing material, roof material and roof slope will be major players in determining the price of your chimney flashing project. What’s your flashing project going to cost? Give us a call, we offer Free Estimates. Posted in Chimney Restoration and Repair, Company Information: Estimates, Costs & Prices and tagged block, Brick, Chimney, company, estimates, flashing, repair, Restoration, St. Louis, stone, tuckpointing on March 2, 2014 by Jacob Thompson.